The basics of Botox are lost on most people. We’d wager that if we walked out on the street and attempted to ask a couple of passers-by what they thought Botox was, they’d get it wrong. There are a whole slew of myths that surround the procedure and fill people with curiosity or fear and the truth is that Botox is a very simple procedure that really doesn’t need to be as big of a deal as people make it out to be. At one point, when it first came onto the scene it was lumped in with other primitive plastic surgeries that were a mere point of vanity for crazy celebrities that were busy hacking their once beautiful faces to pieces. There’s actually very little reason to concern yourself with it. If you want Botox, all you need to do is go into the procedure with open eyes about what it’s capable of and if you’ll like it. It’s not permanent and if you don’t like the results its reversible with time. As one of the leading aesthetic doctors in Manhattan, we’d be happy to help you identify whether Botox is for you or not. Read our outlined basics of the procedure and manage your expectations of the procedure below. 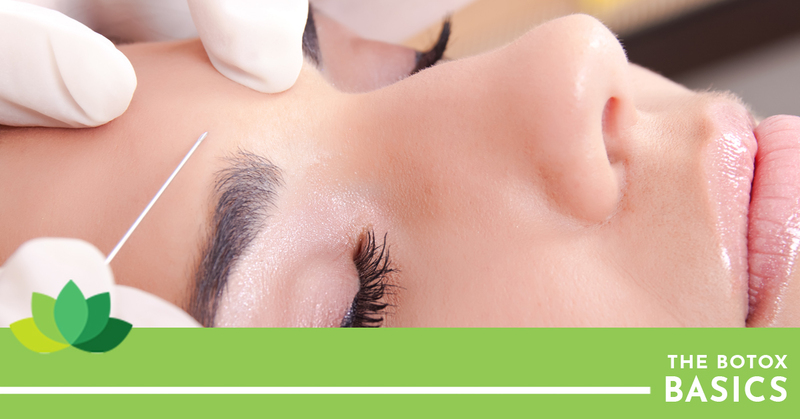 As we mentioned previously, Botox is a non-toxic compound that’s actually found in a bacteria. When it’s injected, the molecules attach themselves to the nerve endings in the muscles of your face. It blocks the signals from your nerves to your muscles that make the muscle react and move. This reduces the appearance of lines because the muscles are not creasing the skin. It’s commonly applied to the area around the eyes to control crows feet and around the frown lines on your forehead. As we’ve spoken of previously, there are muscle induced lines and creases and age-induced lines and creases. With age, some muscles create creases and wrinkles will grow deeper which is where Botox comes in. But if you’re looking to control those fine lines that are mostly from sun damage you’ll need a filler or microneedling service that revives collagen production and fills in those lines by itself. Fillers are injected under the skin, not into the muscle. It’s non-toxic and temporary much like Botox, but is a different procedure for a different issue. There are many misconceptions about Botox, and while it’s not going to freeze your face in the right doses too much will do just that. It’s not a permanent issue unless you get heavy handed with it. If you can no longer move the muscle, you’ve had too much Botox. If you’re not using the muscle for a long period of time, it’ll atrophy and cause issues like those folks that clearly look like they’ve had too much plastic surgery. Take your doctor’s recommendation and think of everything in moderation. What we can’t accomplish with Botox we can accomplish with other treatments that are around the same price point and might be more effective in a long-term regard. Together, Dr.Bronfman will create the perfect age treatment plan that uses a variety of techniques to create the perfect look for you. Contact us to schedule your initial appointment in Manhattan today.